In this blog post we’ll look at MongoDB point-in-time backups, and work with them. Mongodump is the base logical backup tool included with MongoDB. It takes a full BSON copy of database/collections, and optionally includes a log of changes during the backup used to make it consistent to a point in time. Mongorestore is the tool used to restore logical backups created by Mongodump. I’ll use these tools in the steps in this article to restore backed-up data. This article assumes a mongodump-based backup that was taken consistently with oplog changes (by using the command flag “–oplog”), and the backup is being restored to a MongoDB instance. In this example, a mongodump backup is gathered and restored for the base collection data, and separately the oplogs/changes necessary to restore the data to a particular point-in-time are collected and applied to this data. Note: Percona developed a backup tool named mongodb_consistent_backup, which is a wrapper for ‘mongodump’ with added cluster-wide backup consistency. The backups created by mongodb_consistent_backup (in Dump/Mongodump mode) can be restored using the same steps as a regular “mongodump” backup. Required, even if you’re using the default host/port (localhost:27017). If authorization is enabled, add –user/–password flags also. Required for any replset member! Causes “mongodump” to capture the oplog change log during the backup for consistent to one point in time. Optional. For mongodump >= 3.2, enables inline compression on the backup files. 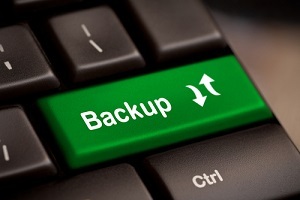 Use the latest daily automatic backup, if it exists. Locate the shard PRIMARY member. Triple check you’re restoring the right backup to the right shard/host! Restore a mongodump-based backup to the PRIMARY node using the steps in this article: Restore a Mongodump Backup. Check that all SECONDARY members are in sync with the PRIMARY. In this stage, we will gather the changes needed to roll the data forward from the time of backup to the time/oplog-position to which we would like to restore. In this example below, let’s pretend someone accidentally deleted an entire collection at oplog timestamp: “Timestamp(1470923942, 3)” and we want to fix it. If we decrement the Timestamp increment (2nd number) of “Timestamp(1470923942, 3)” we will have the last change before the accidental command, which in this case is: “Timestamp(1470923942, 2)“. Using the timestamp, we can capture and replay the oplogs from when the backup occurred to just before the issue/error. A start and end timestamp are required to get the oplog data. In all cases, this will need to be gathered manually, case-by-case. # This tool will dump out a BSON file of MongoDB oplog changes based on a range of Timestamp() objects. # The captured oplog changes can be applied to a host using 'mongorestore --oplogReplay --dir /path/to/dump'. echo "Usage $0: [Start-BSON-Timestamp] [End-BSON-Timestamp] [Extra-Mongodump-Flags (in quotes for multiple)]"
echo "$TS" | grep -qP "^Timestamp(d+,sd+)$"
echo "ERROR: Both timestamp fields must be in BSON Timestamp format, eg: 'Timestamp(########, #)'!" [ ! -z "$MONGODUMP_EXTRA" ] && MONGODUMP_FLAGS="$MONGODUMP_FLAGS $MONGODUMP_EXTRA"
echo "'dump' subdirectory already exists! Exiting!" echo "# Dumping oplogs from '$TS_START' to '$TS_END'..."
echo "ERROR: Cannot find oplog.bson file! Exiting!" Find the PRIMARY member that contains the oplogs needed for the PITR restore. Determine the “end” Timestamp() needed to restore to. This oplog time should be before the problem occurred. Determine the “start” Timestamp() from right before the backup was taken. This timestamp doesn’t need to be exact, so something like a Timestamp() object equal-to “a few min before the backup started” is fine, but the more accurate you are, the fewer changes you’ll need to re-apply (which saves on restore time). The starting timestamp: the BSON timestamp from before the mongodump backup in “Stage 2: Restore Collection Data” was taken, in this example. “Timestamp(1470923918, 0)” is a time a few seconds before my mongodump was taken (does not need to be exact). The end timestamp: the end BSON Timestamp to restore to, in this example. “Timestamp(1470923942, 2)” is the last oplog-change BEFORE the problem occurred. Note: all additional mongodump flags (optional 3rd field) must be in quotes! In this stage, we apply the time-range-based oplogs gathered in Stage 3 to the restored data set to bring it from the time of the backup to a particular point in time before a problem occurred. Required. This is needed to replay the oplogs in this step. Required. The path to the mongodump data. Copy the “dump” directory containing only the “oplog.bson”. file (captured in Stage 3) to the host that needs the oplog changes applied (the restore host). Run “mongorestore” on the “dump” directory to replay the oplogs into the instance. Make sure the “dump” dir contains only “oplog.bson”! Validate the data was restored with the customer or using any means possible (examples: .count() queries, some random .find() queries, etc.). David is the Practice Manager for MongoDB @ Percona. He joined Percona in Oct 2015, before that he has been deep in both the MySQL and MongoDB database communities for some time. Other passions include DevOps , tool building, and security. David. Thanks for sharing the steps. Things get a little dicey with Rollbacks though. Maybe multiple replica’s need to be queried and only dump the oplog entries that have been ‘majority’ propagated? Also on sharded clusters we need to avoid the rebalancing oplog entries. You are absolutely correct here, there is another blog post on consistent backups that deal with sharding and its backup complexities to the point we published a tool on the labs part of our github. Regarding rollbacks you can only safely restore to the point the rollbacks happened then apply the rollback data. After this point reality diverges and you would have to pick a side. It’s not pretty but it’s true. Makes sense. Whats a good way to detect rollbacks in this process ? 2. Compare the entries from each replica at restore time to find a rollback? 4. Then maybe pick the oplog entries from the latest master (as a fork in the road after the rollback). yes.. This fixed the issue in my case also. Above script needs to be changed by percona . Thanks a ton for pointing it out. Can you tell how can we extract the timestamp that you have considered to get the dumps in an interval of time ? How to get the start value and from which file.